Come From Away at the Fabulous Fox Theatre. Performance dates: May 14th through May 26th. See website for more details and to purchase tickets. 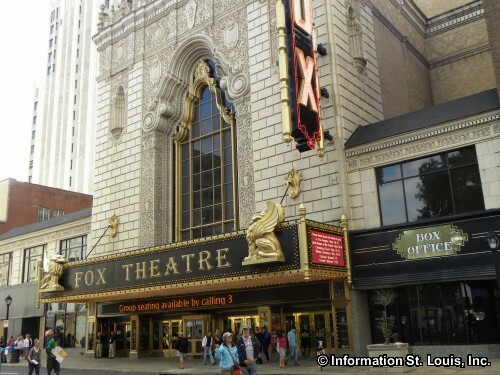 The Fox Theatre is located in St. Louis' Grand Centre and has been completely restored to its original magnificent Siamese-Byzantine decor. The Fox presents live entertainment, including touring Broadway shows and music, dance, and comedy concerts. The Fox also hosts movie premieres, stage attractions, special events, and many famous personalities of show business. Directions: Take I-64 (Hwy 40) to the Grand Boulevard exit and proceed north (right) on Grand.